New York landlords, is your tenant behind in the rent? Serve him/her with this 3 Day Notice of Demand for Unpaid Rent for the State of New York, pursuant to the State Consolidated Laws. The tenant is required to pay the overdue rent within 3 days or the landlord will initiate legal proceedings to recover the premises. A Service of Notice form is included, to record the details of how the Notice is served on the tenant. This New York 3 Day Notice of Demand for Unpaid Rent form is available in MS Word format. Easy to use, downloadable, fully editable. Terminate a tenancy at will by serving your tenant with this Notice of Termination of Tenancy at Will for New York State. The tenant is notified that the tenancy shall terminate in 30 days, and the tenant is required to quit the premises by the end of the 30-day period. If the tenant does not vacate the premises as required, the landlord will proceed to have the tenant removed as allowed by law. A Service of Notice form is included, to record the details of how the Notice is served on the tenant. This New York Notice of Termination of Tenancy at Will is a downloadable Microsoft Word form which is easy to download, fill in and print. NY tenants, terminate your monthly tenancy by serving the landlord with this New York Notice to Landlord of Termination of Monthly Tenancy (other than NYC). This form is for use ONLY for rental premises outside of the City of New York. The landlord is notified that the tenancy shall terminate in 1 month and that the tenant shall vacate (quit) the premises by the end of the 1 month period. A Service of Notice form is included, to record the details of how the Notice was served on the landlord. 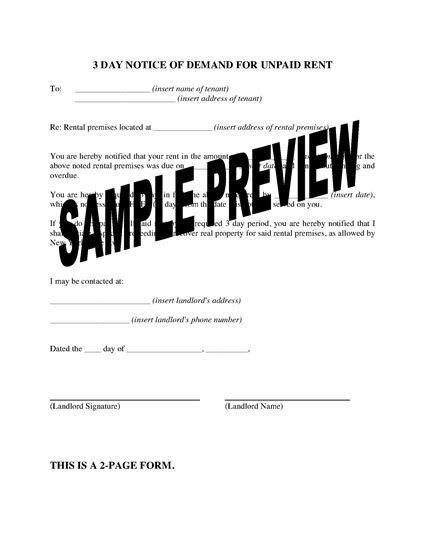 This New York Notice to Landlord of Termination of Monthly Tenancy (other than NYC) form is provided in MS Word format, and is easy to download, fill in and print.